Climalite wicks sweat to keep you dry in every condition. A replica jersey is inspired by what players wear and features a woven crest. Ribbed crewneck with tipping detail; Allover sublimation-print graphic on front and sleeves. 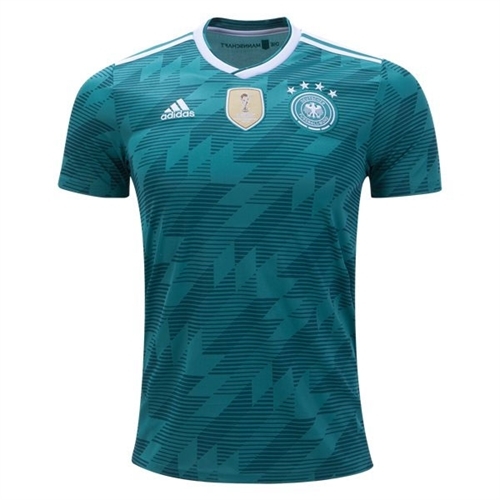 Woven Germany crest and FIFA World Champions crest on chest. Heat-transfer "Die Mannschaft" below back collar. Our adidas Germany Away Jersey 2018 is the jersey that Germany will be wearing for the 2018 World Cup. 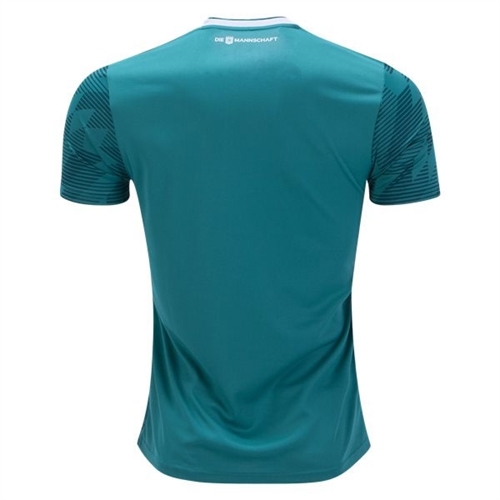 The jersey features the team crest on the left chest and a Climalite wick design with open mesh ventilation in back to keep you cool and comfortable. Inspired from the 1990 when they eliminated England on penalties after an epic semi-final encounter became iconic ever since then.